At the time a tattoo sounds like a good idea, but there may be a time when you don’t want to keep a permanent reminder or an outdated tattoo. 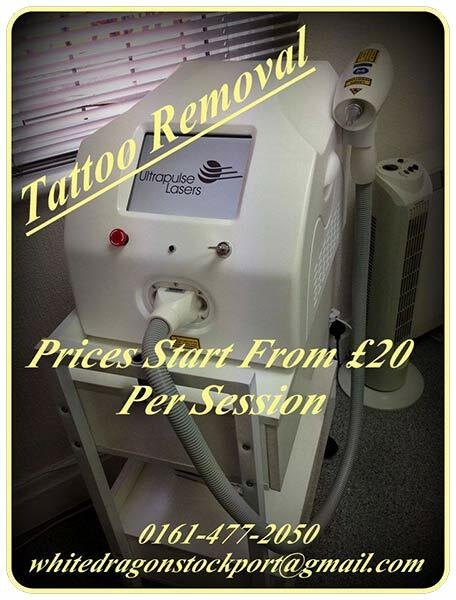 A1 Laser Clinic have the latest technology to remove those unsightly tattoos or cover ups. You are welcome to visit our studio at 19 Lower Hillgate Stockport SK1 1JQ and ask for Paul or Iain to discuss your requirements and become relaxed and more familiar with the technology. Our tattoo removal specialists are professionals and are proud of their reputation.